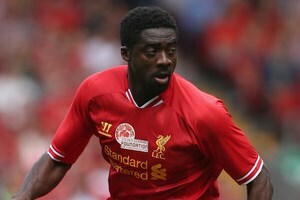 Kolo Toure has admitted that he is loving life at Liverpool. The Ivory Coast defender has quickly become a fan favourite at Anfield since his summer move from Manchester City and he feels it has been an easy transition due to the amount of kind words that have come his way since his arrival. “I really enjoy it when I see them [the fans] every day. I can feel their support and I can feel they love the club. That’s great,” he told the club’s official website. “Like I said when I came, it’s a big change for me to be at Liverpool Football Club and I’m really enjoying it. “I really want to fight for them because when you have fans like that, it gives you extra power.